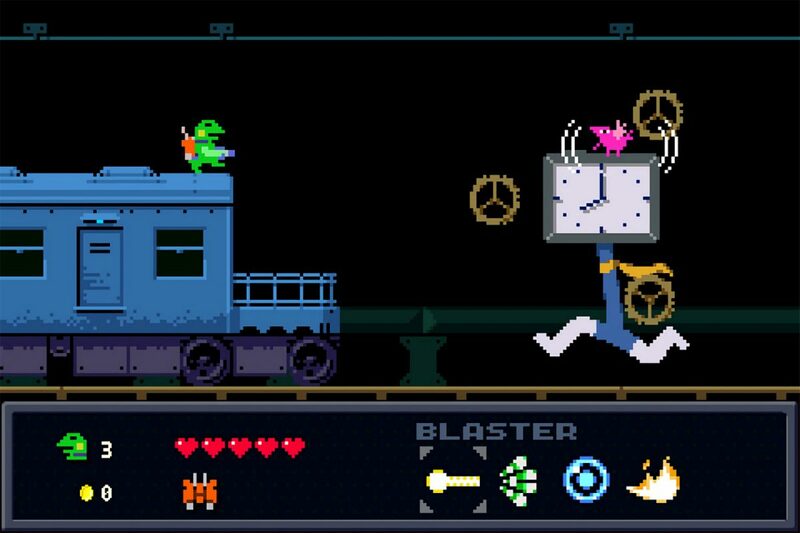 Playism and Studio Pixel have announced the release date for the PlayStation 4 version of Kero Blaster. The indie Japanese shooter will launch for PlayStation 4 on April 11th, via the PlayStation Store. The game has been available on PC and iOS. In case you missed it, you can find our review for the game’s original release here (we highly recommend it!). C&F Inc. teleporters are going offline all over the place, and it’s up to an intrepid frog employee to fix the situation in this run & gun action platformer by Cave Story creator, PIXEL. From the creator of Cave Story comes Pixel’s latest work; Kero Blaster. The C&F Inc. teleporters are going offline all over the place, and it’s up to you, an intrepid frog employee and master of the Custodial Sciences, to fix the situation by riding the company’s teleporters of strange black creatures. Fight for your life through a menagerie of unique monsters while getting your hands on exciting new tools of the trade. Kero Blaster is a classically-styled 2D side-scrolling action game packed with adventure. Players meet a cast of characters that is both figuratively and literally colorful as they hop and blast their way through unique levels. Each gun is custom-tailored to be a better or worse fit for any given situation. Due to the enemies present, their attack patterns, the shape of the terrain—players quickly find that they have to adjust on the fly and select the right tool for the job. Clearing the game on normal is no small feat and unlocks hard mode which is a challenge not for the faint of heart.